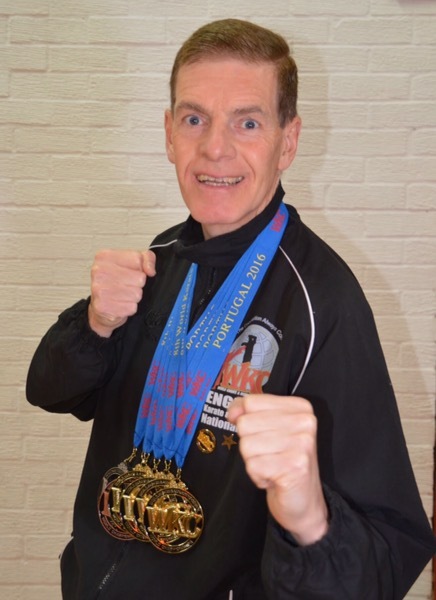 Trevor Felix, a regular visitor and friend of SWFKC, had a double success of his own at the recent World Championships in Portugal. 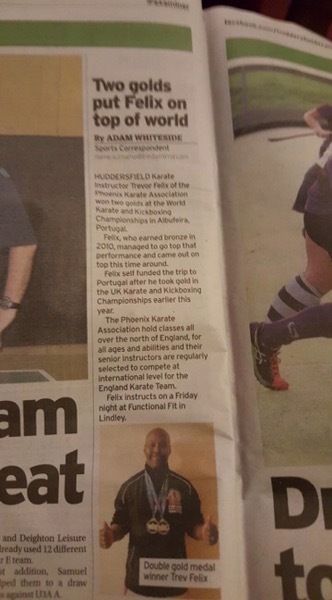 Here’s an article from his local paper celebrating his achievement. Congratulations to everyone in their new roles. 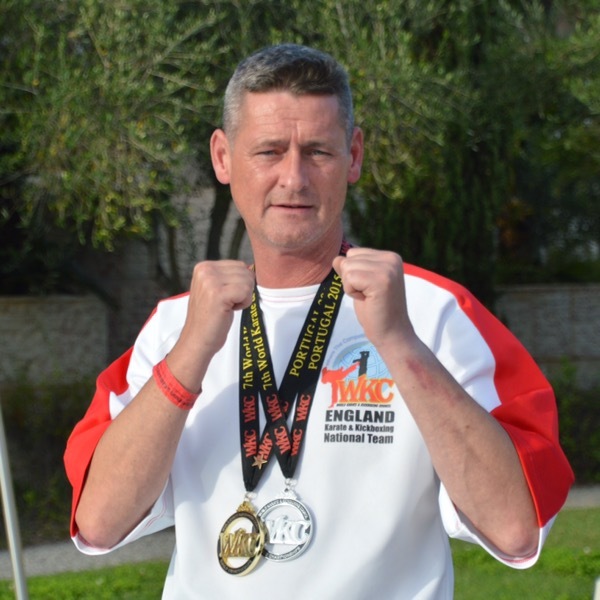 At the recent World Championships in Portugal, SWFKC Chief Instructor Chris Eaton was appointed to the role of WKC England Team Manager. Congratulations, Chris,from everyone at the club. 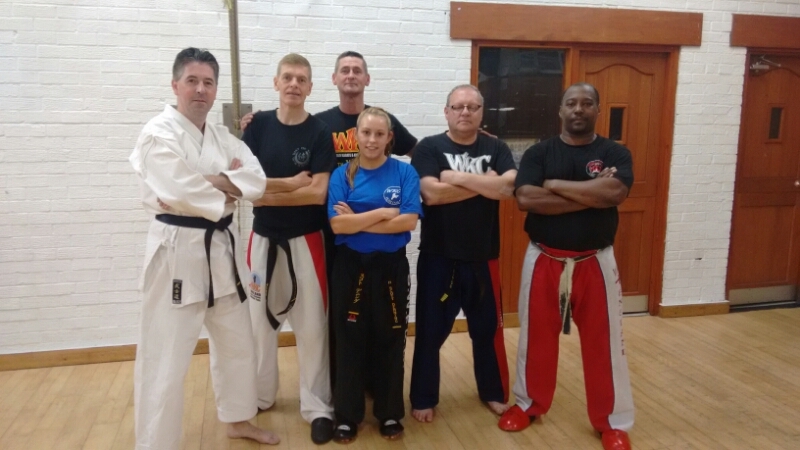 Members of Sale Waldo Ryu Freestyle Karate Club have returned triumphant from the World Championships in Portugal. 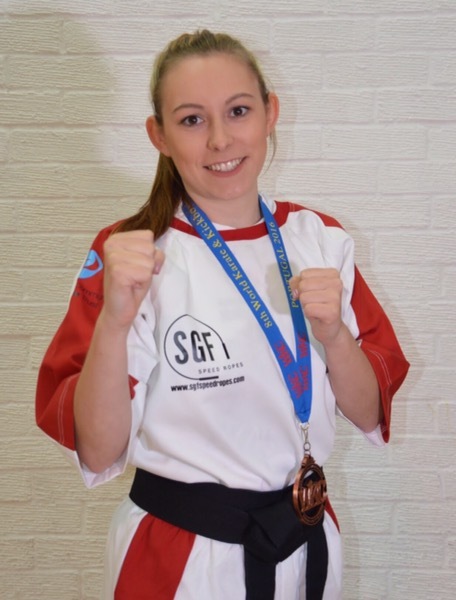 While Sensei Chris Eaton took charge on the mat, overseeing fighters from around the world, Hayley Scott was in good form in her fighting category and landed a well-deserved bronze medal. 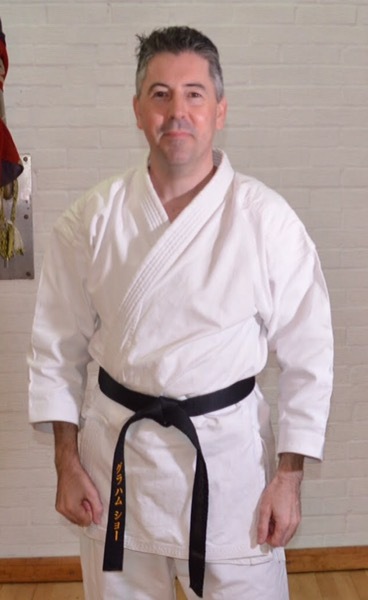 Meanwhile, on the kata mat, John McManus stayed true to form, entering as many categories as possible. A tiring day led to an amazing haul of no fewer than four gold medals plus a silver and a bronze, surely risking excess baggage charges on the flight home! 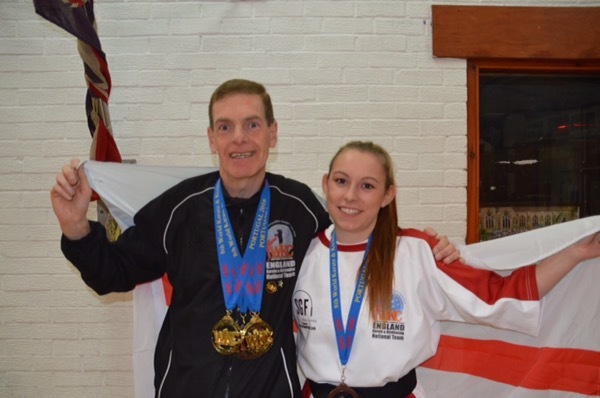 While Alex and Scot returned without medals this time, they gained valuable fight experience against some tough opponents. A special mention to Jeff Acton-Smith whose participation in Albufeira was curtailed by injury. He nevertheless stayed close to the action, offering coaching and support to teammates. The club now returns to training as we look ahead to the Nationals in January 2017. Tonight we welcomed Trevor Felix back to the club. 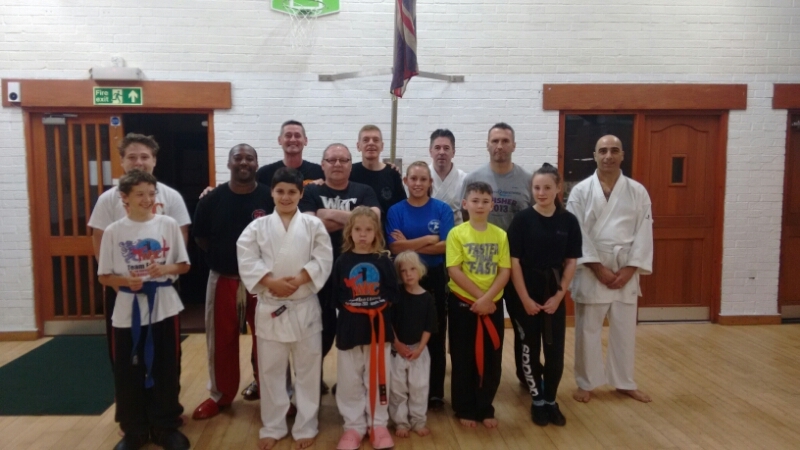 Trevor spent time with club members to help them prepare for the upcoming WKC World Championships which take place in Albufeira, Portugal in just a few weeks. Thanks for the fighting tips, Trevor!